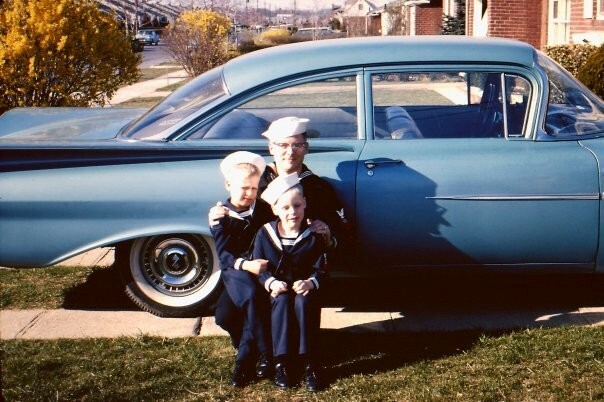 After Dad served in the USAAF in World War II he enlisted in the Naval Reserve. Jim and I were thrilled to have miniature uniforms that matched his. Clockwise from top: Robert Riis, James Riis, Richard Riis; Massapequa Park, NY, 1964.